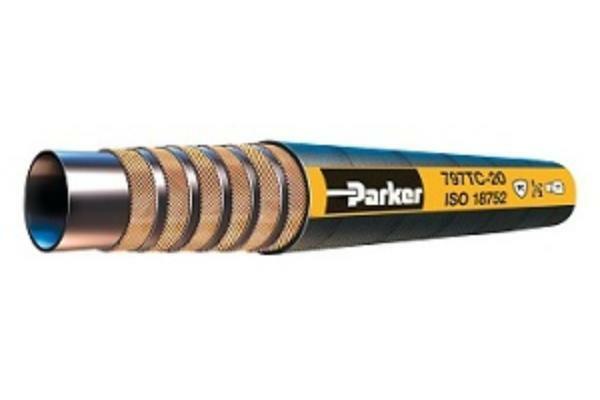 Parker’s GlobalCore 797TC hose provides 42 MPa (6,000 psi) constant working pressure in all sizes. Compared with conventional spiral hose, 797TC hose offers measurably greater advantages in routing and installation, product size andweight, inventory savings and much more. The 797TC hose exceeds the ISO 18752 performance specification.